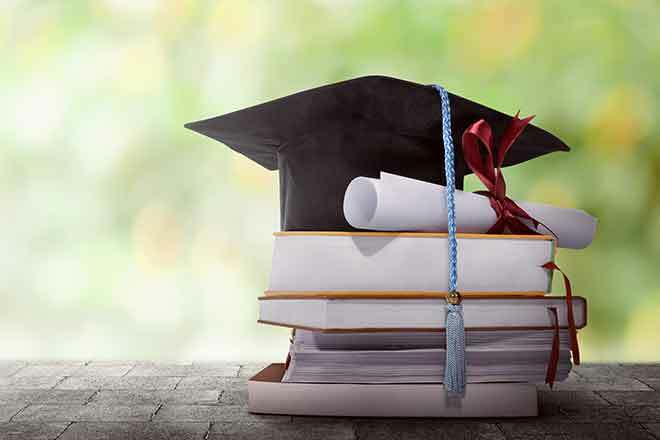 As the school year begins to wind down, high school seniors - and those who care about them - typically have their eyes on two prizes: getting into college and graduating from high school. While both milestones are worthy of celebration, there's much more that students and parents should do after those two milestones are reached. That's the message of our new book, "How to College: What to Know Before You Go (and When You're There)." The recommendations in the book are based on two decades of teaching and designing programs for thousands of first-year college students, such as "The American University Experience," a course that helps new students adjust to university life. Knowing what to expect can make a major difference in a student's psychological well-being. Many first-year college students report feeling "stressed most or all of the time," regardless of where they go to college. A national survey of first-year college students conducted by the JED Foundation, which studies college students' mental health issues, found that students who feel emotionally unprepared for college were more likely to report poor academic performance and negative college experiences. While new college students may be intent upon gaining independence, it's important to stress that knowing when to ask for help is actually a sign of maturity. Along those lines, it's important to encourage students to seek out the various resources that might be available on campus, such as a counseling center, financial aid office or wellness center. Students who need it should also seek out academic support and tutoring programs. There are also programs to support students with disabilities, as well as diversity and inclusion programs for students who may not feel welcome on campus. The way that parents communicate their expectations can affect college students' self-esteem. For instance, disputes can arise from something as simple as what to do on move-in day. We've found that many parents see move-in day as a last special day together, while students often view it as the first day in their new community, not a time for family togetherness. In our book, we recommend that students and their families discuss their expectations about move-in day. Who will be present? Will a parent help unpack and make the bed, or will the family leave once you are unpacked? The writing required of college students is also vastly different from that required in high school. In high school, most writing is expository - explaining what you know. In college, most writing will be persuasive - making original claims and providing supporting evidence. We recommend that before leaving for college, students consider the types of assignments they've been asked to do in high school. Do they have experience writing persuasive papers? They should also consider the feedback they've received on their written work. What do teachers say they need to improve? Have they been told they write passionate opinions but need to work on supporting their claims? Students should set a goal to move forward in their writing, and plan to discuss their goal with their professors in office hours before the first paper is due. Plagiarism and cheating is also dealt with differently in college. In high school, teachers might handle cheating and plagiarism themselves. But in college, plagiarism and cheating violate the school's academic integrity code or honor code and result in larger penalties - including failing a course, suspension, academic probation, or in some cases, expulsion. Students don't need to have it all figured out when they arrive on campus. Chances are new students miss an assignment deadline, lose something of importance, fail a test, or sleep in and miss a class during their first semester. Assure your almost-college student that mistakes are part of learning and that mistakes are not only OK, but also expected. It is the resilience that students show - that is, the ability to adjust to circumstances in the face of adversity and own up to their mistakes - that is a hallmark of being a responsible adult.